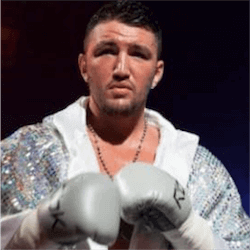 It is already news that Hughie Fury and his cousin Tyson failed a mandatory drug test two years ago, proving positive for Nandrolone. Nandrolone is a steroid, and absolutely forbidden from use by any athlete in the sporting world. The two have profusely denied taking the drug, claiming that they unintentionally ingested it when eating infected meat. The matter is still to go to trial, which has been delayed, and delayed again. The situation, already a major problem for Fury and his career, is made worse by the fact that the trial is now set to occur before his world heavyweight match against Joseph Parker. Had the case not been delayed on multiple occasions, the fight would have gone ahead prior to any possibilities of Fury receiving a ban. Should Fury be banned, and be unable to take part in the fight, Parker’s promoter, David Higgins, has made a confident statement that a fight will happen regardless. 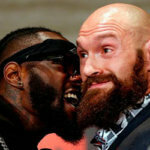 He has stated that contingency plans are in place, and that Parker will face an opponent of equal skill, should Fury be unable to step into the ring. The boxing business is about hedging and contingencies, Higgins declared in his statement to the Herald and he said that you’d be silly to only have one option, and if anything like this happens, you have someone solid and credible, at least at the same or better on standby, ready to draft in. Speculations and rumours have already surfaced about whom Parker will face if Fury is absent. Some have said that the obvious choice is Deontay Wilder, the undefeated powerhouse who has 38 professional fights under his belt. This, however, is unlikely, despite the fact that Wilder specifically called out Parker. Given the timeframe available, and the reams of red tape involved, Wilder is probably not going to be Parker’s opponent, should Fury be unable to fight. Many have agreed that Parker versus Wilder would certainly be a fight for the history books. After defeating Gerald Washington in Alabama, Wilder made the bold, and somewhat unnerving statement that he was getting more dangerous the more experience he got. He added that he really felt that he’s going to seriously hurt someone to the point where they will end up putting a red tag on their toes. 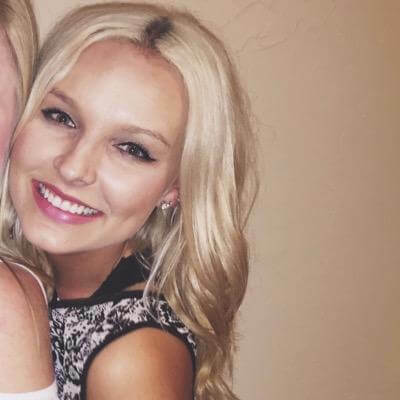 An avid writer and sports betting enthusiast, Lauren Ball has found the ideal way to combine the two. As a regular contributor and resident OnlineBettingNZ.co.nz expert, Lauren is now putting her considerable wisdom to good use, and keeps punters informed as to what’s hot and happening in the online betting and sporting world. From the latest sports results to any upsets or developments in the betting world, Lauren makes it her business to know what’s going on in the industry and share it with those who have the same interests. 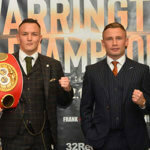 Josh Warrington will be taking on his first defensive match of his IBF featherweight title when he faces Northern Ireland’s Carl Frampton at the Manchester Area. The news of the …. Trainer Jamie Moore has stated that Rocky Fielding must gain Saul Alvarez’s respect by making use of his size advantage. Canelo, who is a Mexican superstar, will be stepping up …. 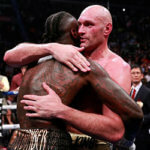 In his first bout of significant fighting since he upset his way to the heavyweight championship in 2015, Tyson Fury has survived two knockdowns, including one in Round 12, and …. With the year coming to an end, boxing fans are in for one of the biggest events of the season so far at the Staples Centre in Los Angeles. WBC …. Promoter Eddie Hearn has recently announced that WBO middleweight champion Billy Joe Saunders is set to defend his title against Demetrius Andrade, former WBA/WBO middleweight champion. The fight will take ….